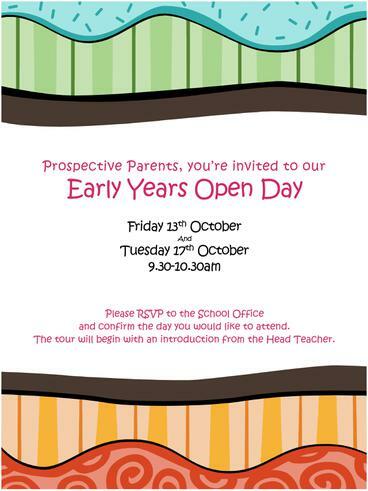 Prospective Parents, you’re invited to our Early Years Open Day. Please RSVP to the School Office and confirm the day you would like to attend. The tour will begin with an introduction from the Head Teacher.